PunkVideosRock.com has uploaded quality video footage of the May 12 press conference at the Palladium in Hollywood, California to announce Ozzfest Meets Knotfest, a combination of the two hard rock and metal events that will take place on Saturday, September 24 and Sunday, September 25 at San Manuel Amphitheater and Festival Grounds in San Bernardino, California. 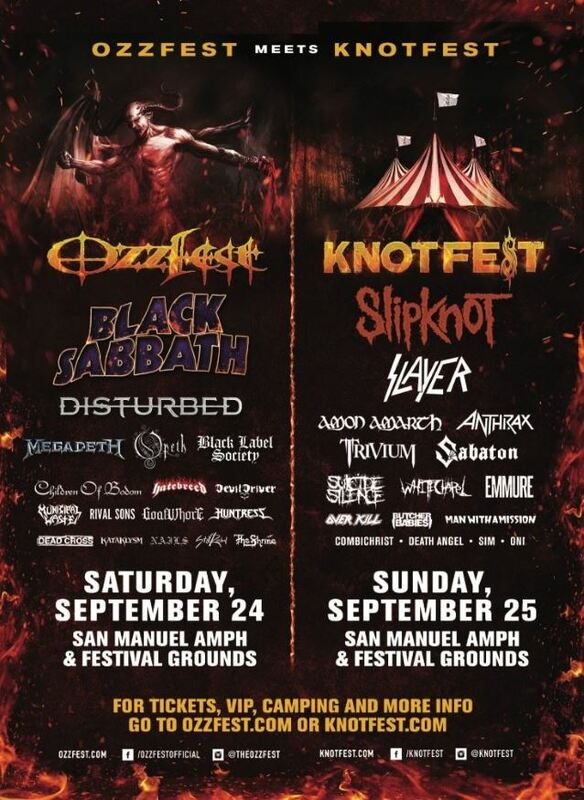 SABBATH will top the Ozzfest bill on September 24, while SLIPKNOT will lead the Knotfest lineup the next day. Also on the Ozzfest portion are DISTURBED, OPETH, BLACK LABEL SOCIETY and others, while the Knotfest lineup includes SLAYER, TRIVIUM, ANTHRAX, SUICIDE SILENCE and many more. 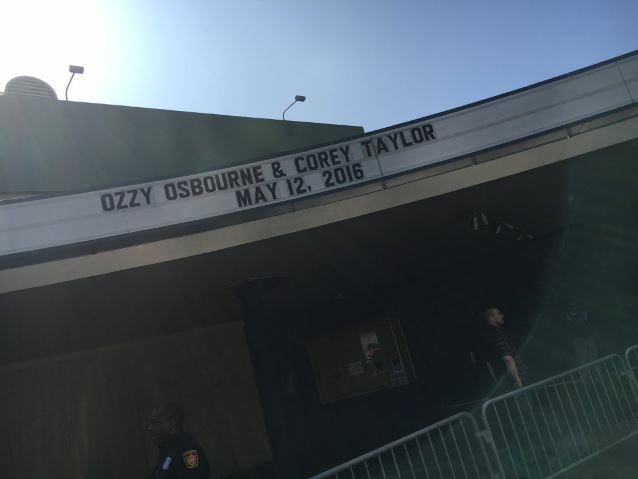 The Palladium press conference was attended by Ozzy Osbourne and SABBATH bassist Geezer Butler, along with SLIPKNOT members Corey Taylor, Sid Wilson and Shawn "Clown" Crahan, DISTURBED's David Draiman and members of HATEBREED, ANTHRAX, HUNTRESS and SUICIDE SILENCE. Butler talked about what playing Ozzfest Meets Knotfest means to him. "It's good that we're still going and this kind of music's still going.., and to do something this big proves that it's still as popular as ever," he said. Taylor explained how the meeting of the festivals came together. "You know, building our own festival, it just made sense if we could put this together and make the last North American show for BLACK SABBATH absolutely monumental," he said. "So we made some calls and we were able to put it together and once it was done, it was done like that. So I'm very, very, very proud that we could put this together." He went on to say: "This is something we've been talking about for a while. This is something that we were able to do and do respectfully. 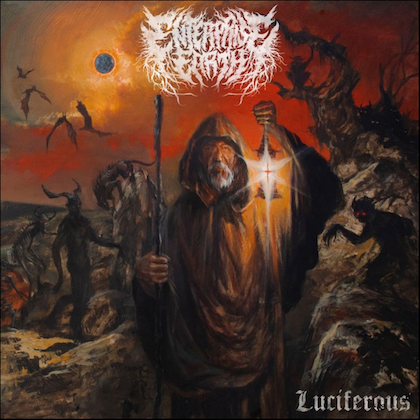 This is us paying a debt back and at the same time giving something to the fans that they don't get a lot, because heavy metal is obviously a dirty word to this day. So it's, like, 'Screw you. We're going to put together this massive mashup of the festival that carried the flag for 20 years to the new one that is, hopefully, doing the same thing. And we're going to give you something very, very special." Remarkably, Ozzy's estranged wife and manager Sharon Osbourne also attended and even introduced her husband and the other musicians, although neither she nor Ozzy addressed their current marital woes. According to The Pulse Of Radio, Ozzy embraced his wife during the proceedings at several points although she did not return the gesture. Both Ozzfest Meets Knotfest days will feature three stages, with one of them named after late MOTÖRHEAD frontman Lemmy Kilmister. Tickets for the doubleheader go on sale Friday, May 20 at 10:00 a.m. PT at Ozzfest.com and Knotfest.com. The San Manuel Amphitheater and Festival Grounds is where Ozzfest began in 1996 and where Knotfest was staged last year. Ozzfest, which began in 1996, has not been a traveling festival in the U.S. since 2007's "free" edition. The show morphed into a one-off event in Dallas in 2008, took 2009 off and played just six cities in 2010. 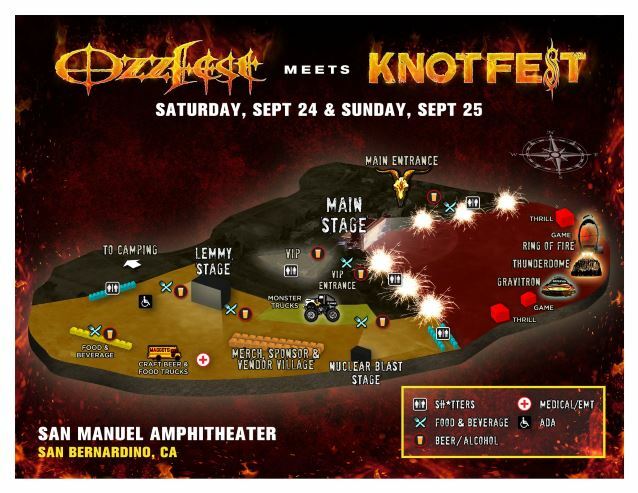 Knotfest, meanwhile, staged its third annual event last year and second as a Southern California weekend destination festival. 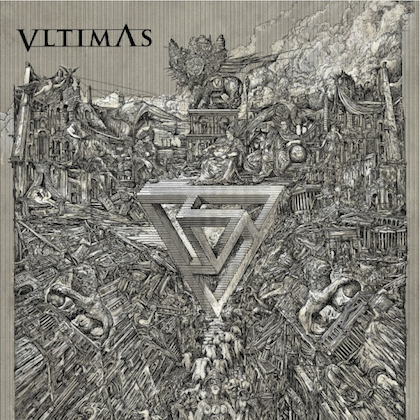 It attracted over 50,000 fans with 50 bands playing on four stages.